Grey Stone & Grey Lore are on SALE! Jean Knight Pace & Jacob Kennedy’s novels, Grey Stone and Grey Lore, are on sale on Amazon for the next 5 DAYS! The Kindle version of Grey Stone will be FREE, and Grey Lore‘s Kindle version is on sale for just $0.99! Grey Stone is a young adult fantasy novel that brings us back to dark times. Where myths and legends wander the earth and equality is a utopia that humans cannot even fathom. Join the characters of Grey Stone on the journey of a lifetime to restore balance, and bring an end to the land of the great red sun. e finds an orphaned pup in the woods and Wittendon is forced to arrest the boy’s father soon after, both of them begin to realize that keeping the rules might be just as terrifying as breaking them. Now serf and master must learn to cut through their own prejudices and work together in order to turn their world before it turns on them. Grey Stone is a story of dogs who talk, wolves who kill, and a stone that-for better or worse-can change all that. Grey Lore is a young adult paranormal retelling of the werewolf legends. It’s a fresh new look at the origins of the human-werewolf-dog relationship that has readers on the edge of their seats! The positive reviews just keep on coming in. Despite the perks of living with her rich aunt, Ella’s new life in Napper, Indiana, is pretty much tragically boring. Until Ella starts hearing strange voices. Before they lose their way to the whispers they hear from the past or the call to a future they’re not sure they want to create, the friends will need to confront who they really are and figure out what’s hiding in the silence of their sleepy little town. Make sure you get your copy today! You can share, gift, and buy. P.S. Don’t forget to leave a review after you finish reading! These books are definitely hard to put down. Normally, Friday the 13th makes the superstitious jumpy. But we’re jumping for joy at Ink Smith today. It is finally here! The release of Debris! 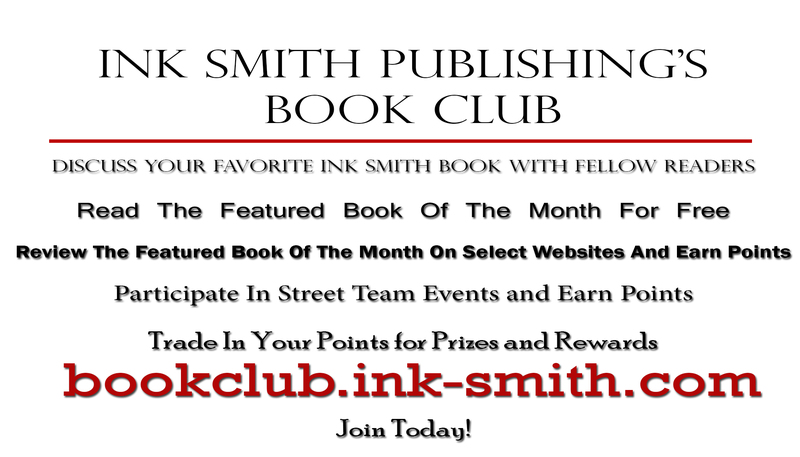 Make sure to stop by Ink-Smith.com and order your copy today. Amazon and Barnes & Noble (if you use offer code STACKS on B&N, you’ll get 15% off your order too!) also offer Debris on their website. It’s available in paperback and e-book! Debris started off as a completely different novel. The original novel was a story made of three parts and Andre was the main character in one of those stories. Most of the characters were the same, but their relationships were different and once Andre met Erin in the estate (instead of the minor character she was originally), everything changed. Lorna says “all the characters had already taken their place and had been waiting for Erin to come along and change the game. The author, L.M. Brown has been writing for at least 13 years whenever she gets the chance. She earned an MFA in c reative writing from Emerson College, and her stories have been published in numerous magazines. She lives in Massachusetts and goes back to her hometown in Ireland when she’s working on a story. She loves getting up at 5:30am-6:00am when the house is quiet to get work done (although she can’t stand it if there are no bananas! ), or after her daughters go to sleep. And even when she’s not physically writing, she’s always thinking about her stories. Debris is available for Pre-Order! Have you heard the news? Debris by L.M. Brown is available for Pre-Order on Ink-Smith.com & Amazon! Debris releases on April 13, so make sure to pre-order your copy as soon as you can. Debris is L.M. Brown’s debut coming-of-age novel with Ink Smith Publishing. Andre blames himself for his mother’s death–and believes his father does too. After months of difficulty, Andre flees his family home to live with his aunt where he meets troubled-teen, Erin McEvoy. Erin’s mother disappeared a year ago, and she is certain that her abusive father is to blame. But when Andre starts to investigate, nothing is as it seems. Erin’s story doesn’t match up to the facts he’s uncovered, and Andre begins to understand that she is not the only one on the estate with secrets. In this coming of age novel, love and loyalty are tested and we find that there are monsters and heroes hiding in the unlikeliest of places. Delving into the psyche of teens who have experienced loss, Debris is a great coming of age story. The characters are real, flawed, and relatable. L.M. Brown brings raw emotion to the surface as each character deals with his/her own demons, and reality itself.